So with the title I'm really just referencing this fine fellow to the left. 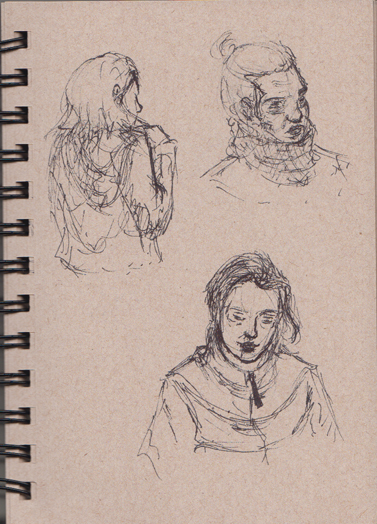 I've always had difficulty recording the likeness of a person, so it's part of my plan to go back and patch up my weaknesses. What I've identified, is a general lack of understanding of what's under the hood. 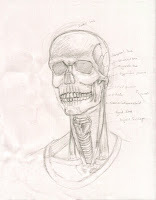 So as my first of many studies, I sketched a rough self portrait of myself, and then drew in anything under the skin that was contributing greatly to my appearance. 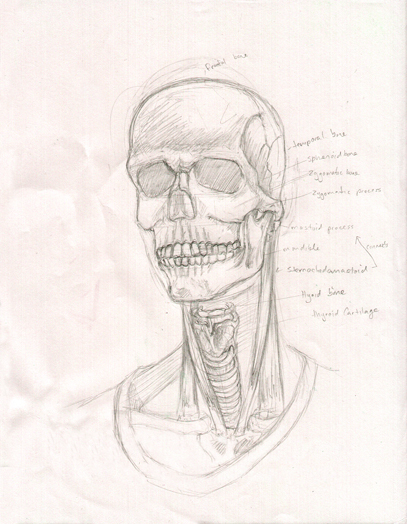 Obviously things like bone structure were the main focus, but I included the sternocleidomastoid muscle's in the neck as they're important for it's form, as well as the larynx and related pieces (hyoid bone and trachea). The main reason for their inclusion was because I have a very protruded adam's apple, which I now know is called the laryngeal prominence. The reason I did it via the route of self portrait was so I would be forced to actually translate the information in context and not just copy it from a book. Which lets face it, is a terrible way to learn anything. 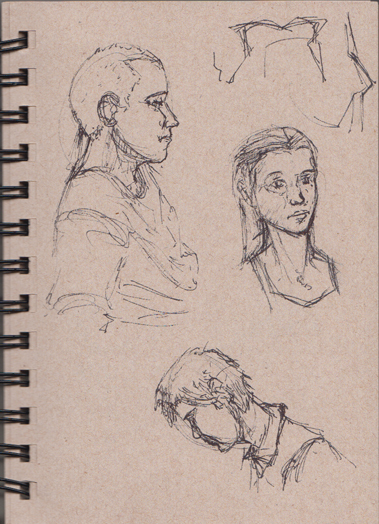 Below is the simple concept of apply what you learn, so on this gesture drawing trip I focused much more on people's faces. This made for some awkward stare backs from time to time.